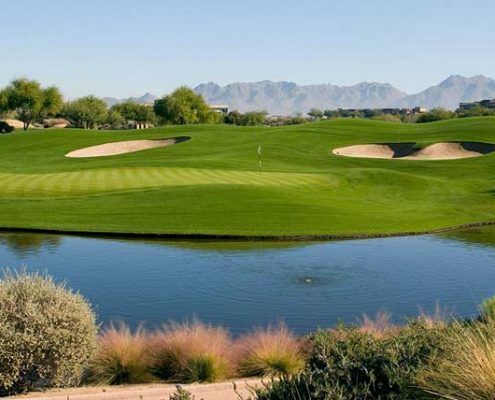 Project Description: The ground breaking for this 730-acre, highend master planned community and golf course took place in 1993, and work is ongoing. CVL provided topographical surveying, the grading and drainage, water, and sewer layouts and prepared a drainage report. The firm also designed a CAP booster station to provide irrigation water for green belt areas. This multi-use project is unique in Phoenix in that it has successfully combined commercial, office, retail, multifamily, and single family developments surrounding a 27 hole championship golf course and the anticipated “Westin at Kierland” luxury high rise hotel. In addition, there is a unique boutique/entertainment/restaurant area currently under construction called the “Kierland Commons.” This too is unique in that it is patterned after “small town” America and contains a wide variety of shopping and eateries. 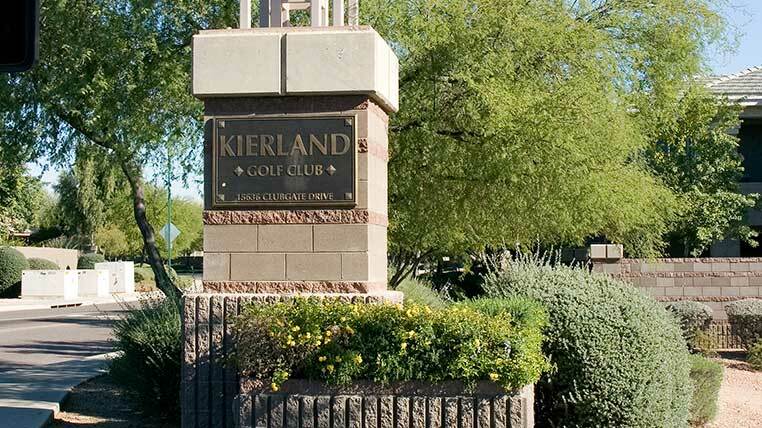 CVL has provided planning and engineering services for nearly all of the facilities at Kierland. 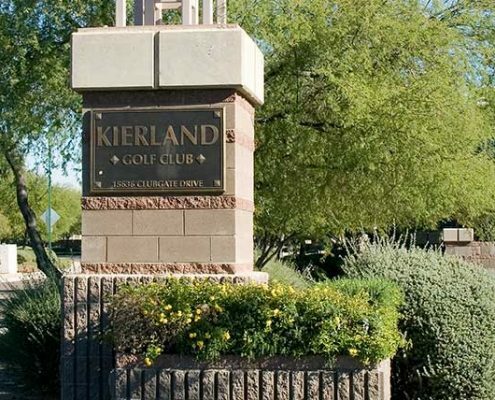 The Kierland golf course consists of 27 holes within the Kierland development. 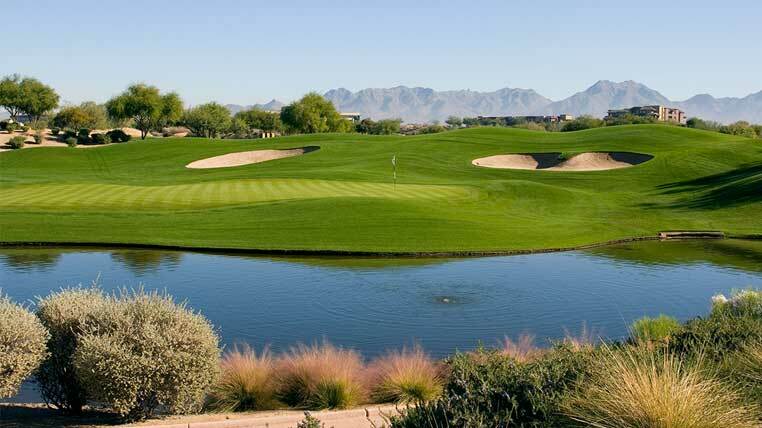 Nine holes are located on the south side of Greenway Parkway where the golf course borders 66th Street, Acoma Drive, Kierland Boulevard and a luxury apartment complex. The 18 holes located to the north include two lakes and a driving range. CVL also designed a maintenance facility for the course. A future resort hotel borders the golf course. The course was designed to retain and pass through all onsite runoff from adjacent development parcels as well as offsite drainage from existing developments north of Paradise Lane. The project is anticipated to dramatically improve a local flooding problem that has existed in the area for years. In addition, CVL provided the major roadway landscaping for the development, as well as perimeter wall layout and detailing, and entry monument placement. The firm also designed an eight-acre neighborhood park, and coordinated with architects and golf course architects to complete the project. Landscaping efforts included extensive salvaging of native plant materials to take advantage of the mature vegetation that existed on the site.